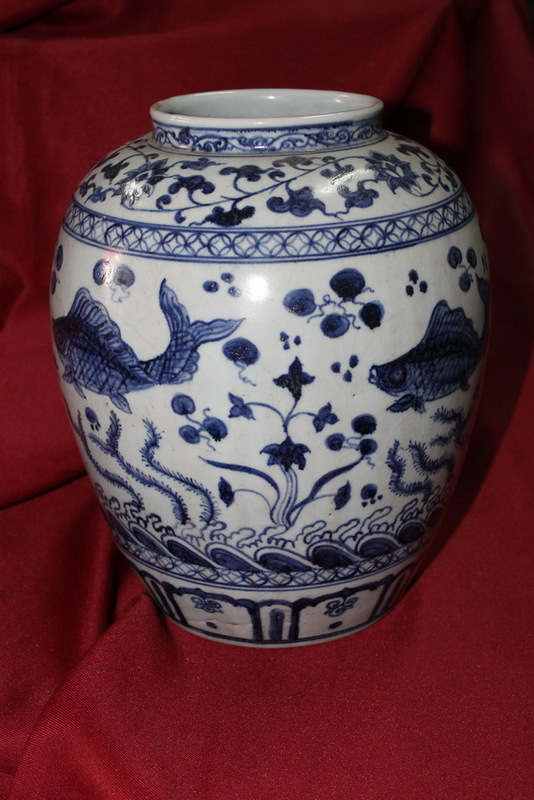 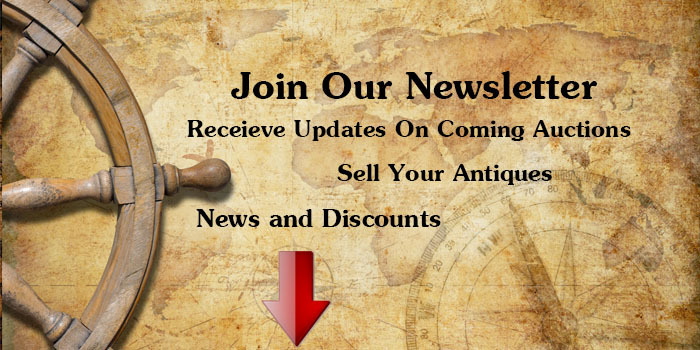 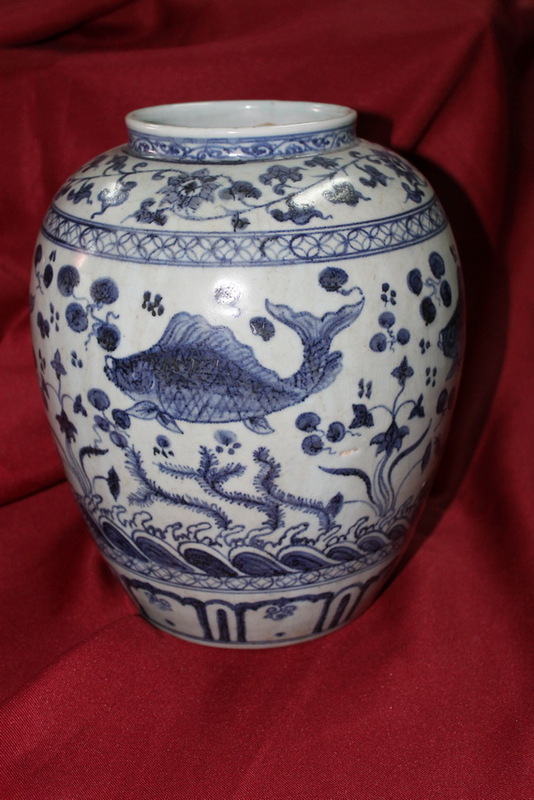 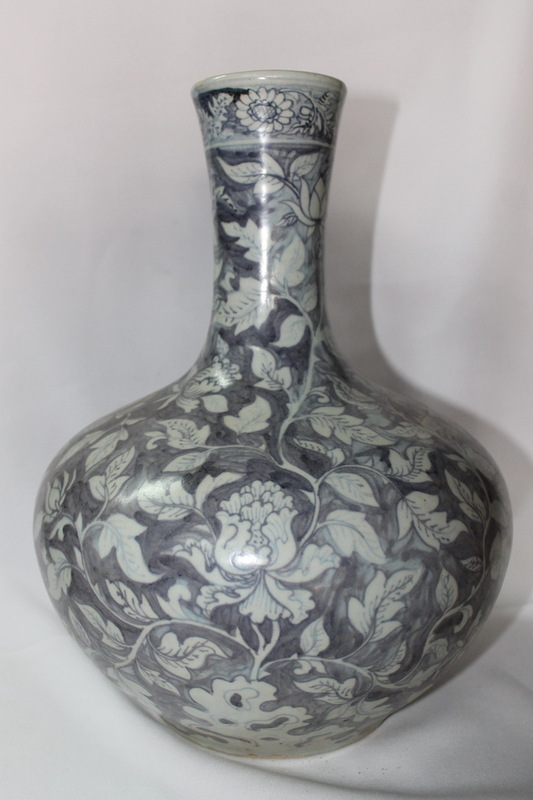 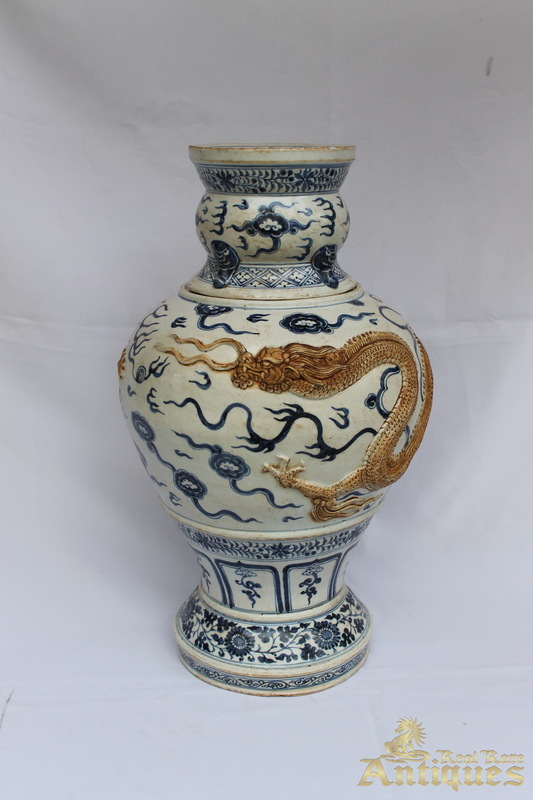 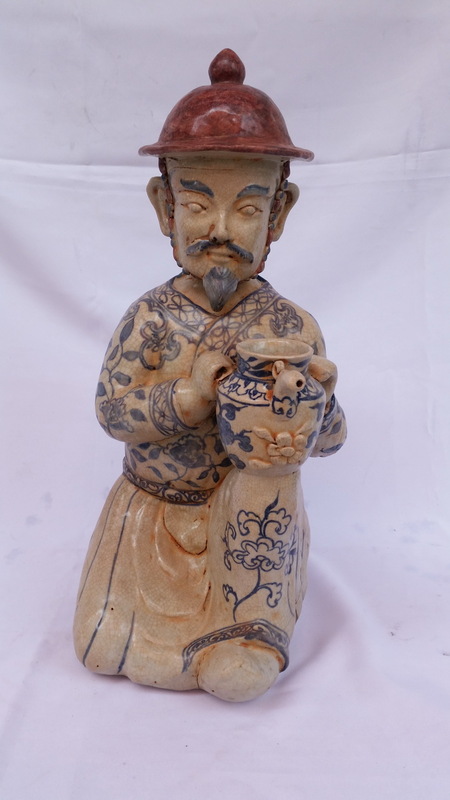 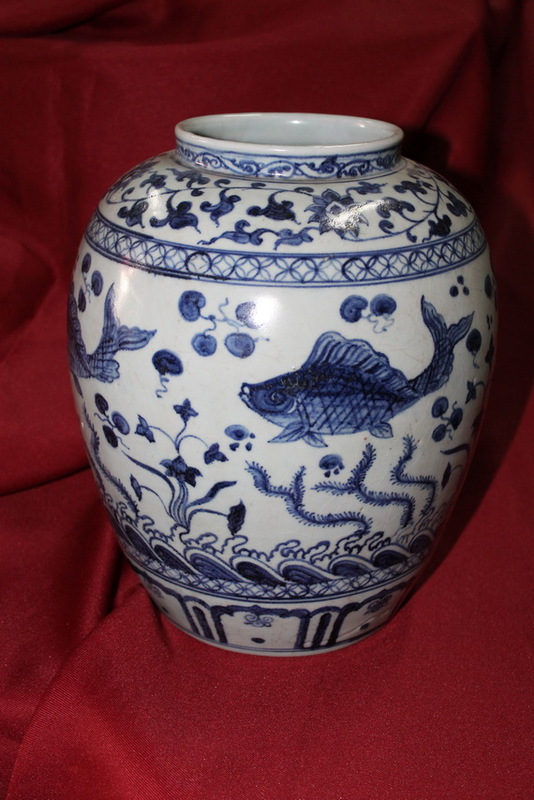 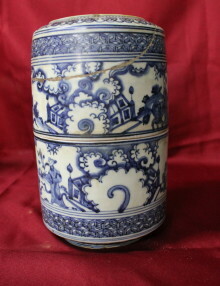 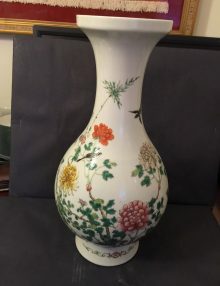 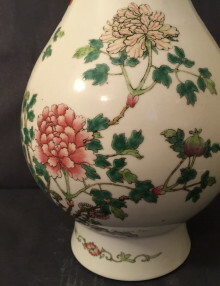 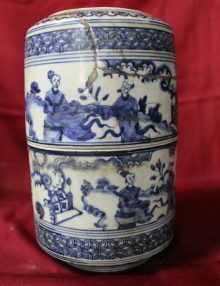 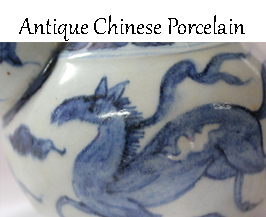 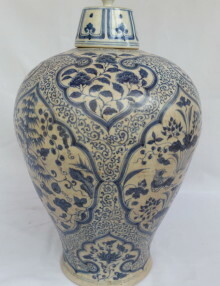 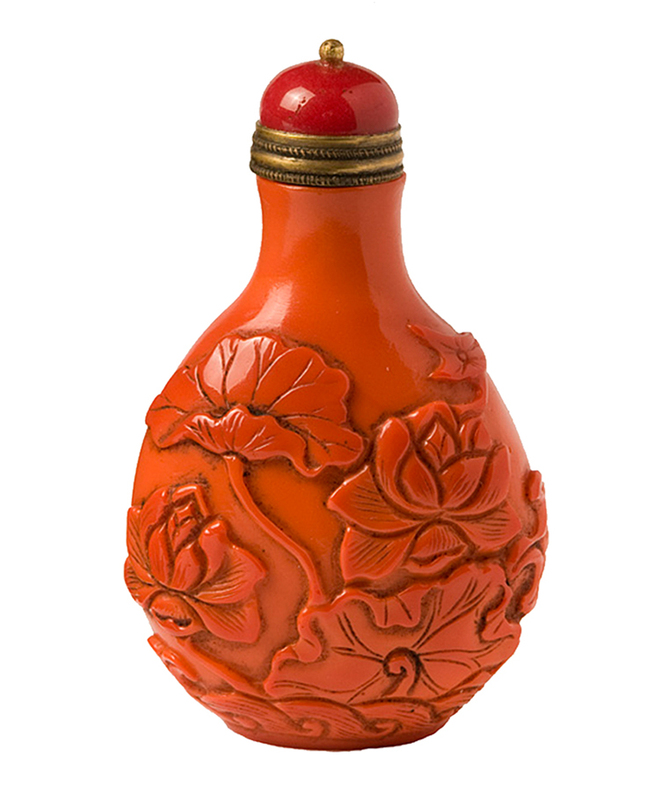 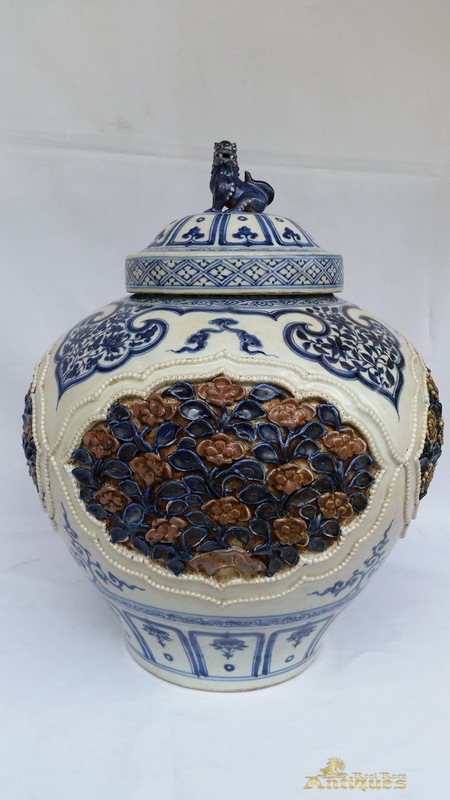 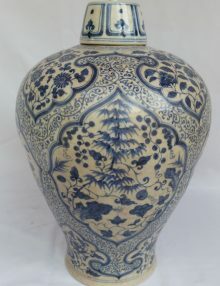 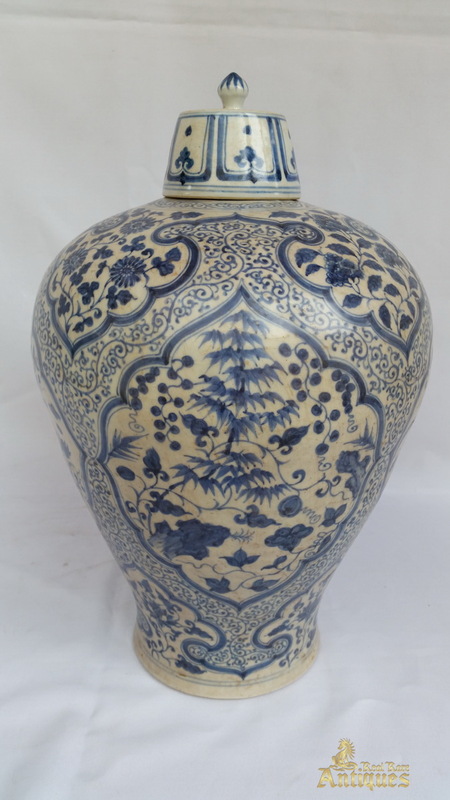 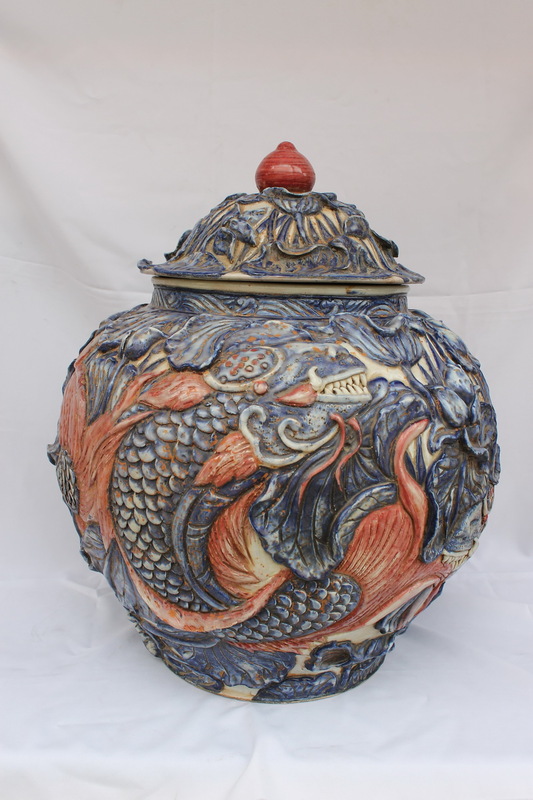 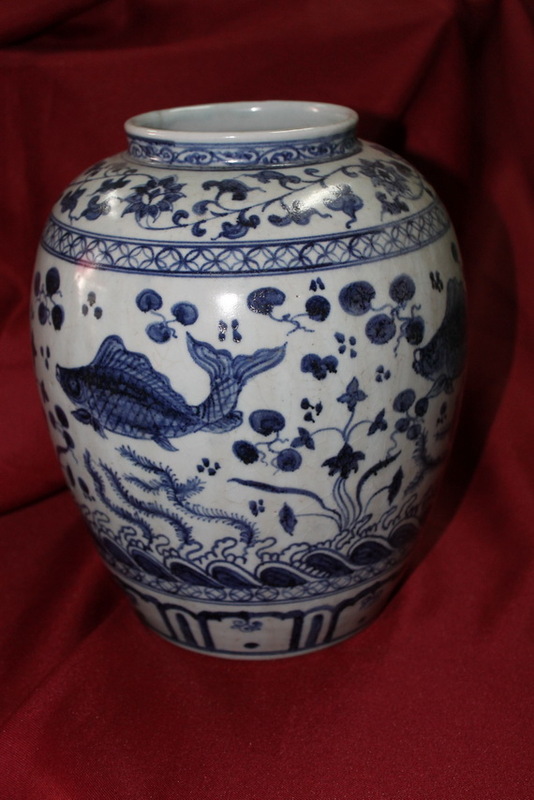 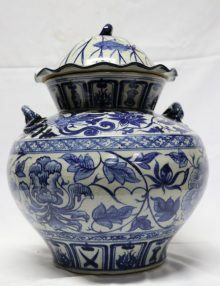 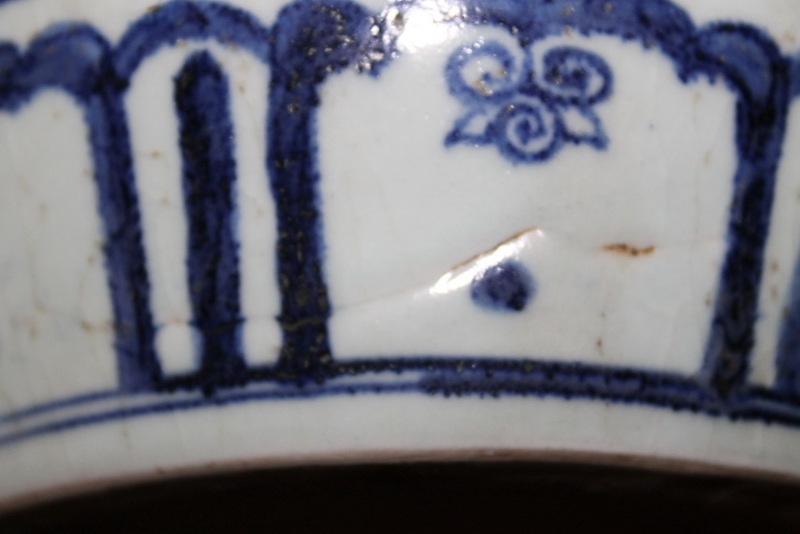 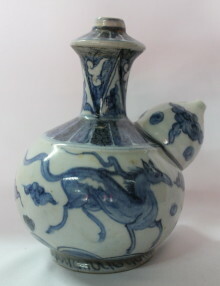 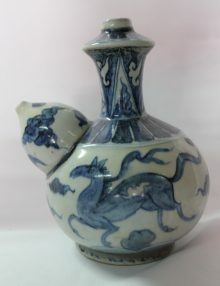 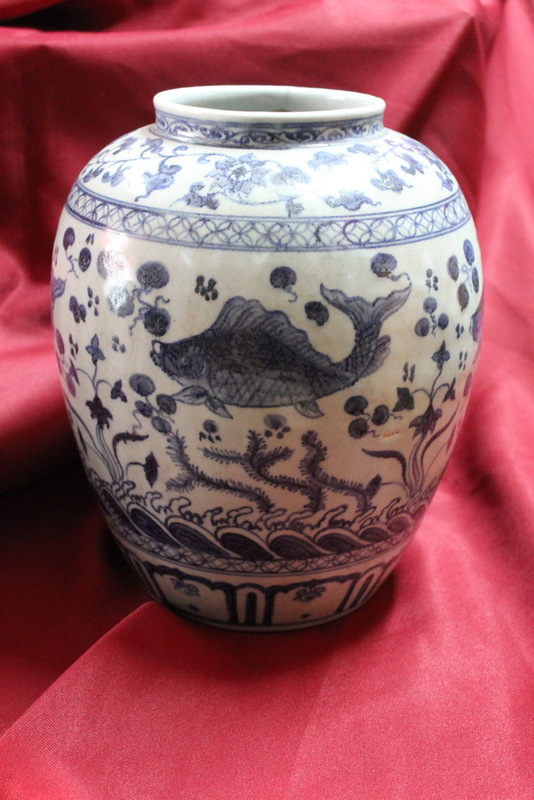 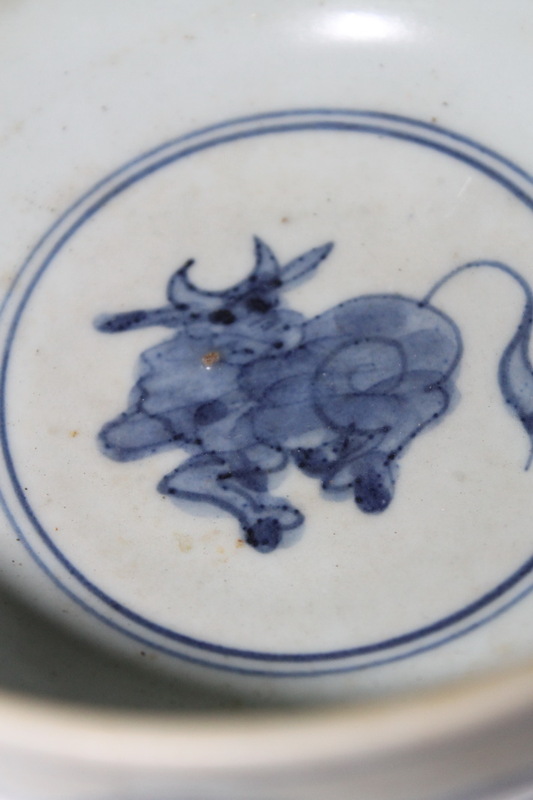 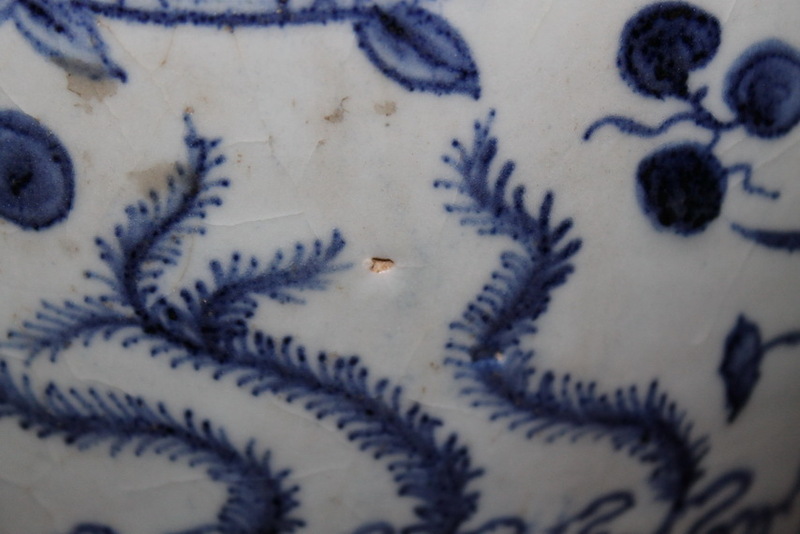 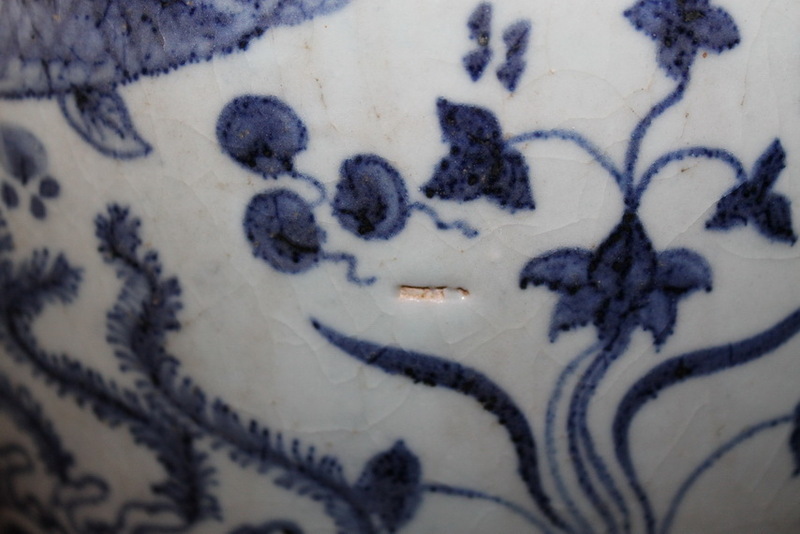 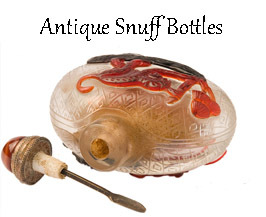 This Chinese porcelain is a ming dynasty vase antique. 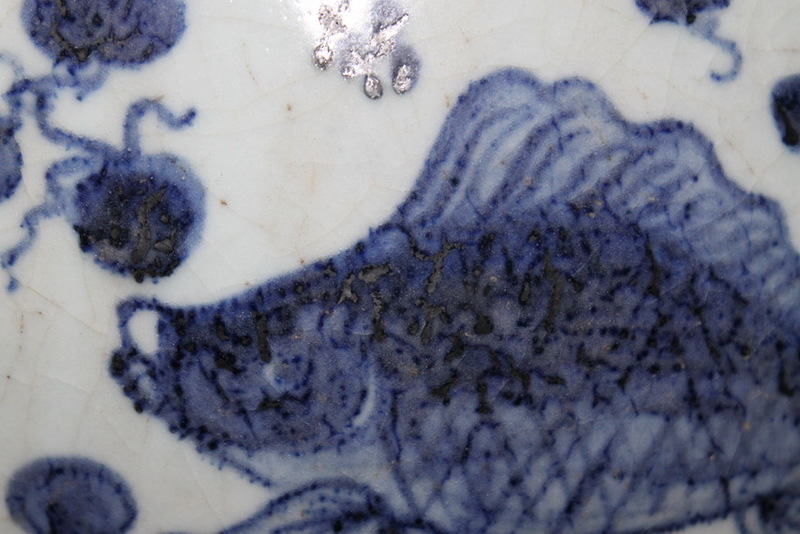 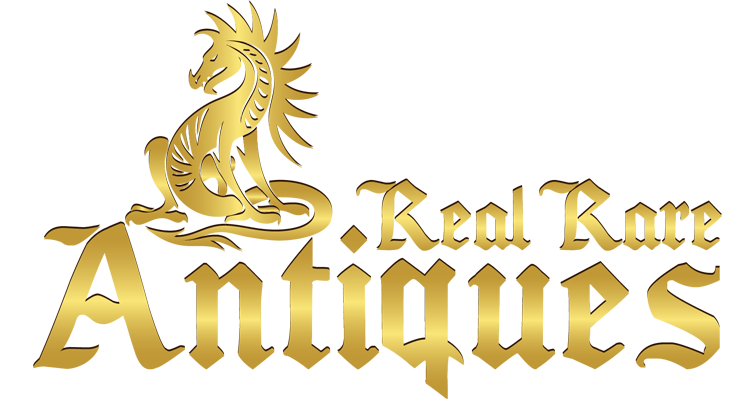 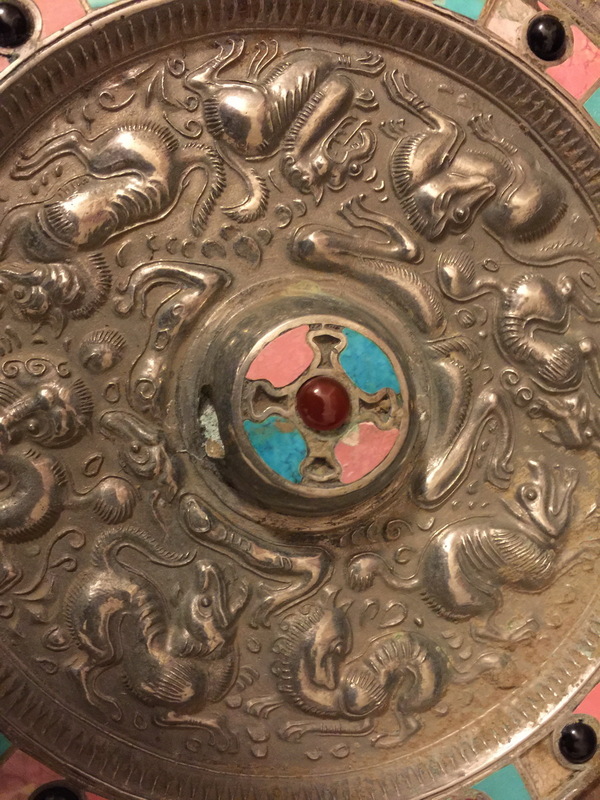 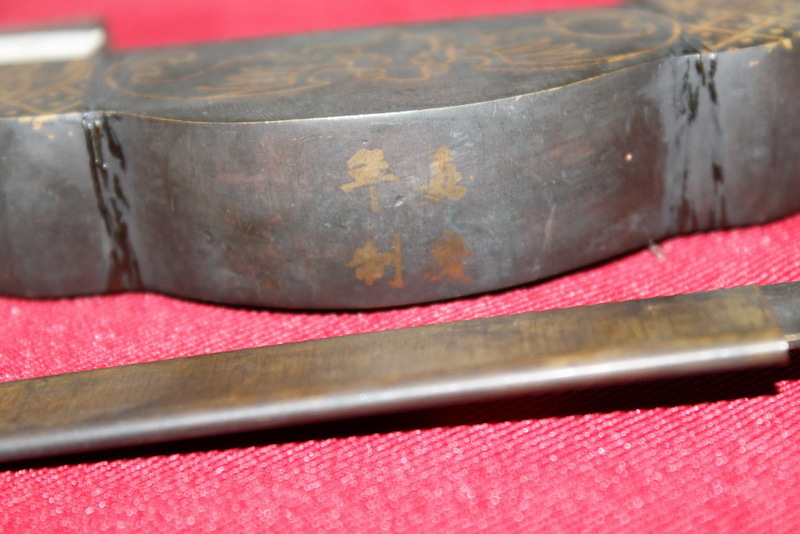 It has a fish design painting. 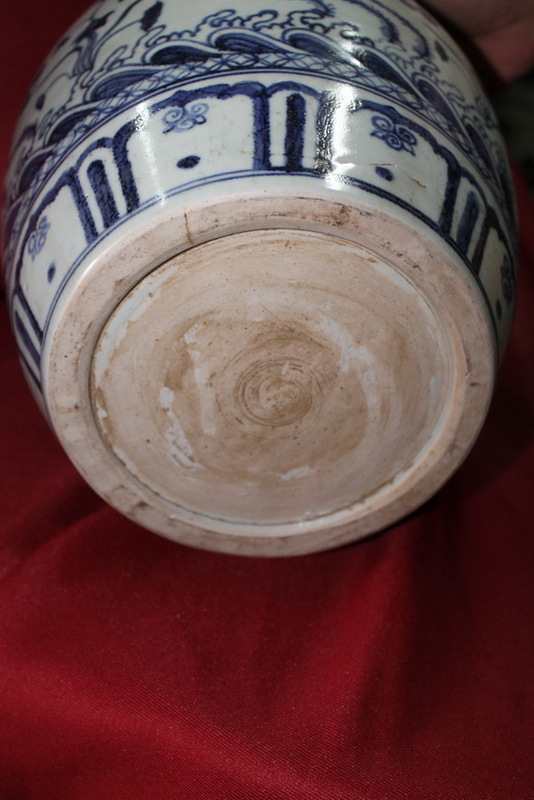 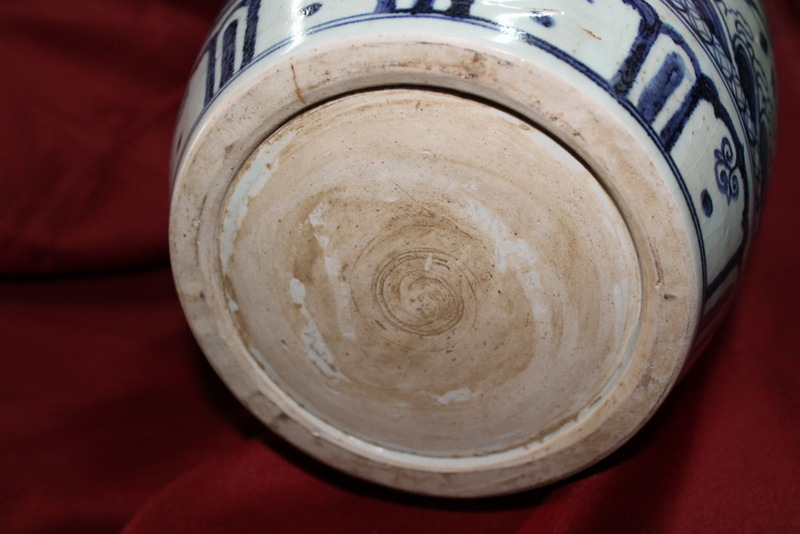 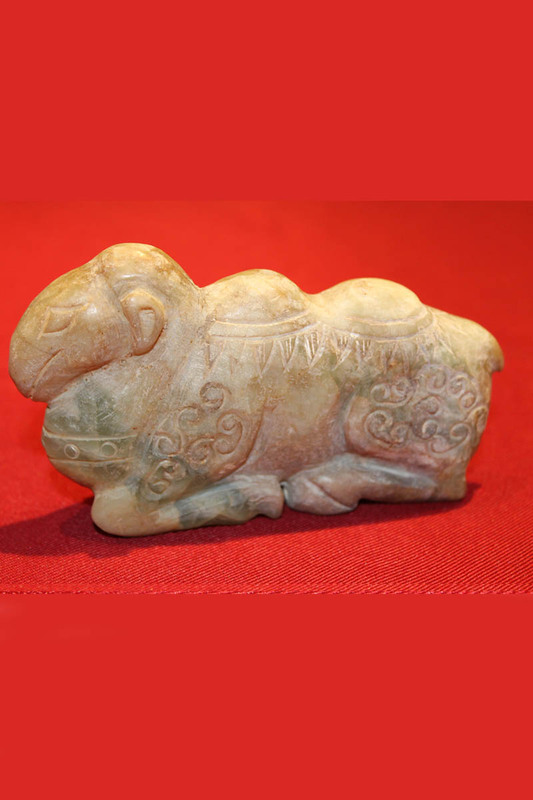 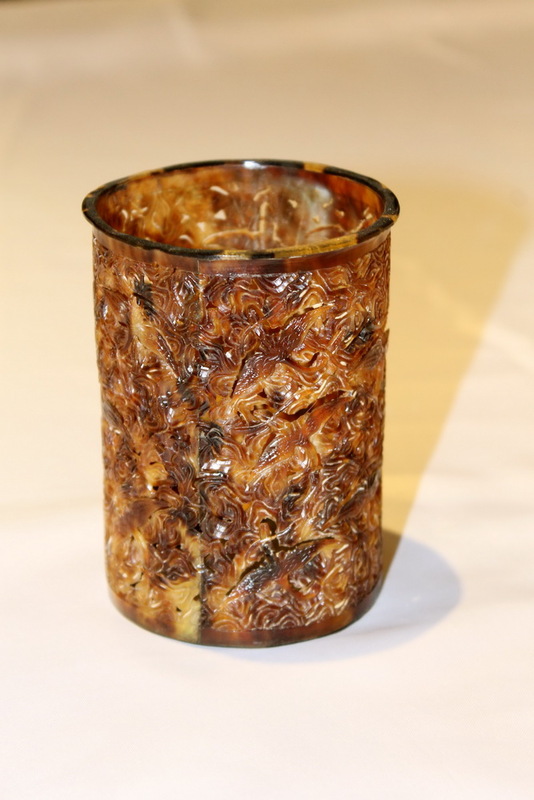 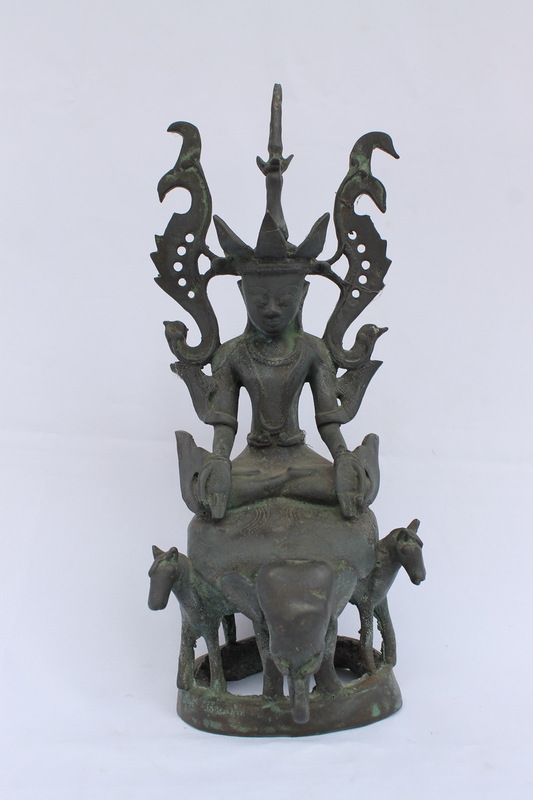 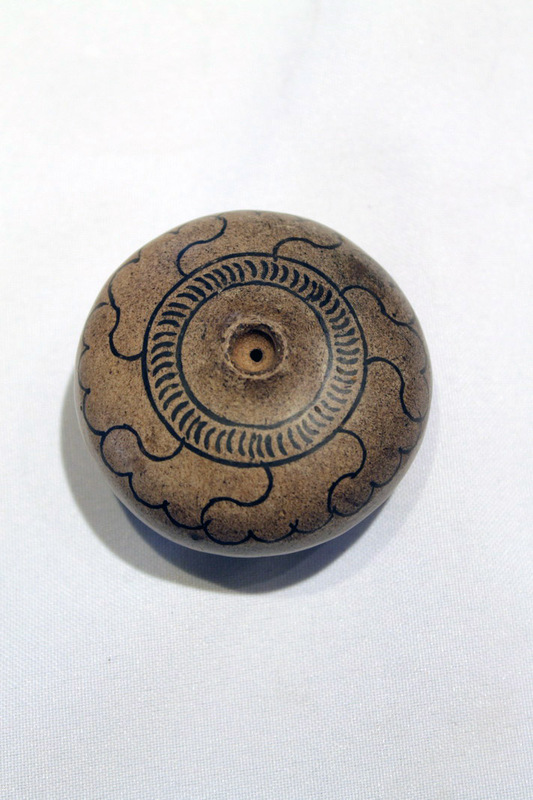 It has few kiln firing faults and glaze contractions.